At CSI, we specialize in the complete installation of business communication and network systems with structured Cat 5e voice, Cat 6 data cabling design and infrastructure. Structured cabling, network provision and the supply and installation of data solutions are just a small part of the engineering services provided by CSI. As your network cable installer we are committed to supplying the equipment and systems that will meet any company’s needs in today’s business world. The choice of network cabling is rather important because of the extremely high frequencies of the signals. Sending 100 million bits per second over a thin copper wire can be a little tricky. To have a solid network, the cabling must be certified from end to end; for the cabling is truly the foundation and backbone of your entire network. Neglecting this important issue can result in costly downtime, corrupt data, and frustrating network errors. Right now, you can get hardware and cable rated for Cat 3, Cat 5e or Cat 6. (Cat = category of cable specification) With cable, it’s easy to see the difference; it’s in the twists – higher performance cables have more twists. But jacks are harder to tell the differences. Trust us – they are different. If you terminate Cat 5e cable with Cat 3 jacks, you will get Cat 3 performance – no better! When dealing with Category 5e and Cat 6 designed to support Gigabit Ethernet, termination procedures become even more complicated. Cat 3 is mostly used for voice and is only rated at Fast Ethernet or 100-base-T transition speed. With more and more companies adopting VoIP phone/voice solutions, CSI would recommend a price quote using Cat 3 compared to Cat 6 for all voice cabling installations. For a small percentage increase, one should weigh the benefit of having all their cabling rated at Cat 6 gigabit speeds. How many voice & data drops will you need. A “drop” is basically one run of cable from a starting point (usually the wiring closet or server room) to the end point (usually an office or cubicle). Remember that for each office, cubicle or workstation, you will generally need one drop for the phone line, and one for the computer. You should also take into account drops that are required for things like dedicated network printers and fax machines. Will the new space require plenum or non-plenum cabling? The answer to this will depend on the type of construction used in the new location. 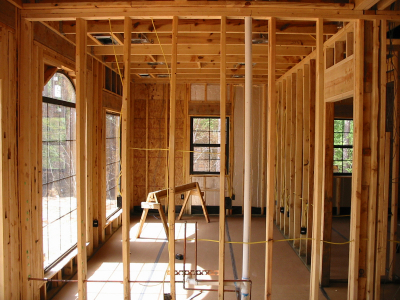 If your cabling will need to run above a ceiling that is also used as a space for the circulation of air in a heating, air-conditioning and ventilation system (plenum space), then you will be required to use plenum-rated cable. Plenum cable is jacketed with a fire retardant plastic jacket of either a low-smoke polyvinyl chloride (PVC) or a fluorinated ethylene polymer (FEP), which limit the amount of toxic fumes in the event of a fire. Plenum cabling costs slightly more than non-plenum wiring, but it’s necessary to maintain code compliance. 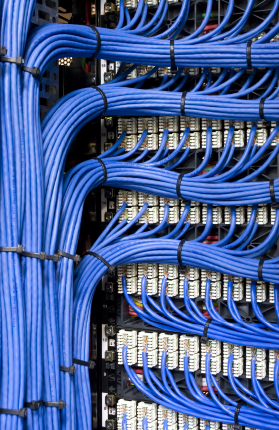 CSI highly recommends the use of Plenum cabling for the majority of our client’s installations. The general difference between category 5e and category 6 is in the transmission performance. While Cat 5e can support gigabit speeds, Cat 6 is certified to handle gigabit Ethernet. Additionally, the Cat6 specification is better suited toward environments that are generally unfriendly to twisted pair cabling. This includes areas that have lots of interference from things like power lines, lights, and manufacturing equipment. Keep in mind just because the cable is rated at gigabit speed, doesn’t equate to gigabit performance. The network components like the switches, network card in the PCs and Servers all must be capable of a gigabit speed to achieve the performance benefit. Regardless of the network components rating, Cat 6 should always be the preferred cabling choice; the minor cost increase over Cat 5e is insignificant to “future proofing” your company’s cabling foundation.